February 2019 marks my three-year anniversary at Foundation Recruitment. This milestone has had me reflecting on my own personal career journey at Foundation Recruitment and the steps I have taken to take me to where I am now. When I started working at Foundation Recruitment, I had clear personal goals and was seeking an employer who could support me to achieve these aspirations. I wanted to have a beautiful wedding, get married to my now husband, and get a loan to put ourselves in our first home together. I never imagined I would achieve all these things and so much more. If not anything, perhaps you'll be inspired by my career journey [everyone loves a good story], or at the very least you can learn more about me as a professional and maybe even relate on some level. When I first started in the role of a Recruitment Consultant, I really had no idea what to expect from my new position. I had been working in recruitment previously but primarily in blue-collar, fast-moving trades with a focus on temporary work. For me, it felt like I was comparing apples with oranges as Foundation Recruitment specialises in a different type of recruitment than what I was experienced. Excited, but also a little bit daunted I had to adjust to the more sophisticated demands of white-collar recruitment. Coming in fresh I not only had to work on developing my own personal skills in this new area of recruitment I was diving into, but I needed to establish and build on those vital client relationships. 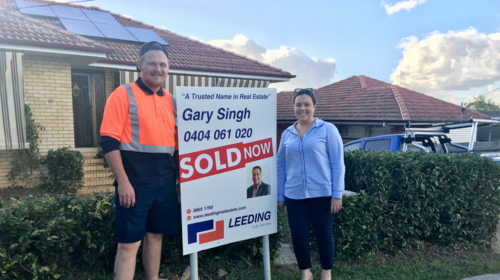 One of the most important decisions I made in my first year was to focus my attention on a niche in residential construction and more specifically project home builders. In my first year, it was all about keeping my head down, putting in the hard work and working towards my personal goals. Starting in January of 2017, my hard work in building the company brand was recognised by the team, and I was promoted to Senior Recruitment Consultant. The personal profile I had worked to establish in my first year at Foundation Recruitment had begun to pay off. Instead of picking up the phone and doing business development on a daily basis, I’d built great relationships with both clients and candidates in my niche market which saw them coming to me for help with their recruitment needs. This referral network around made my job so much easier as things began to flow organically. In May 2017, I achieved one of my personal goals. 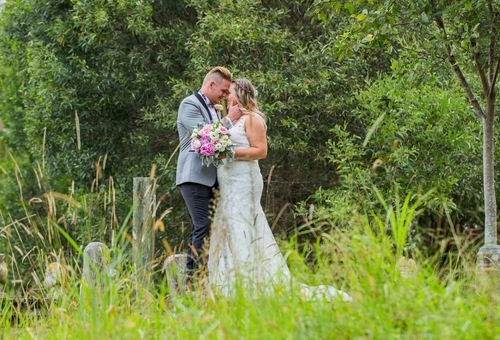 My husband and I tied the knot in a beautiful wedding at Noosa. The day was made possible from all the hard work I had put in at Foundation Recruitment and the commission I had earnt. In my second year, Foundation Recruitment grew that little bit bigger and in October 2017, we opened the doors to our first office in Melbourne. At the end of my second year, I got to do some traveling and put some ticks against my bucket list. Paul [our awesome leader] treated me to a trip to Vietnam for a worldwide recruitment conference as a thank you and for further professional development. Going into my third year at Foundation Recruitment would have had to have been one of the most rewarding yet. At the beginning of the year I was promoted to Branch Manager. This career change meant I was able to focus on growing the Foundation Recruitment team, business and brand. We hired additional team members and someone to take over the residential construction desk which I had worked so hard to grow. I was incredibly proud to have fostered that role for my team and be able to watch them grow and develop. Being able to mentor others in their own career journey has been an incredibly reflective and rewarding experience for me. In my third year at Foundation Recruitment I was able to tick off another big personal goal of mine. My husband and I bought our first home together! In November 2018, all my hard work and dedication was acknowledged as I was asked to be a shareholder of Foundation Recruitment. I could never have imagined being given shares in a company and it was a big thank you from the business. Reward for effort was clearly evident and I felt [and still feel today] a big sense of accomplishment to achieve this milestone in just 3 years. At Foundation Recruitment I always had a strong support network around me. I'm so thankful to Foundation Recruitment for their continued support and allowing me to grow through these 3 years. 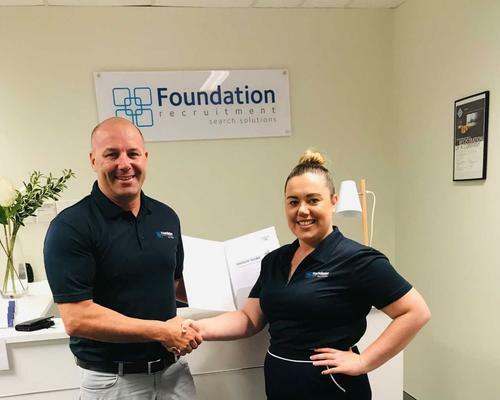 The focus going into my fourth year at Foundation Recruitment is the continuation of success here in our Brisbane office. We will be looking to grow our team to include additional consultants who I can help train and mentor through their career. 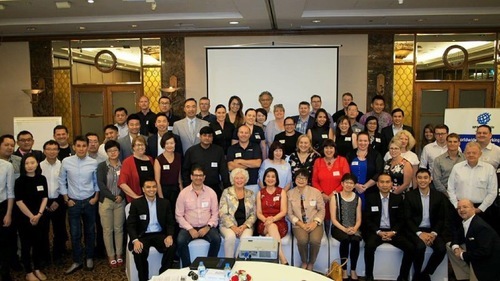 To start from a consultant who had never worked in this area of recruitment, to a branch manager and shareholder developing the business and leading a team, I am content with what I have achieved in such a short amount of time.